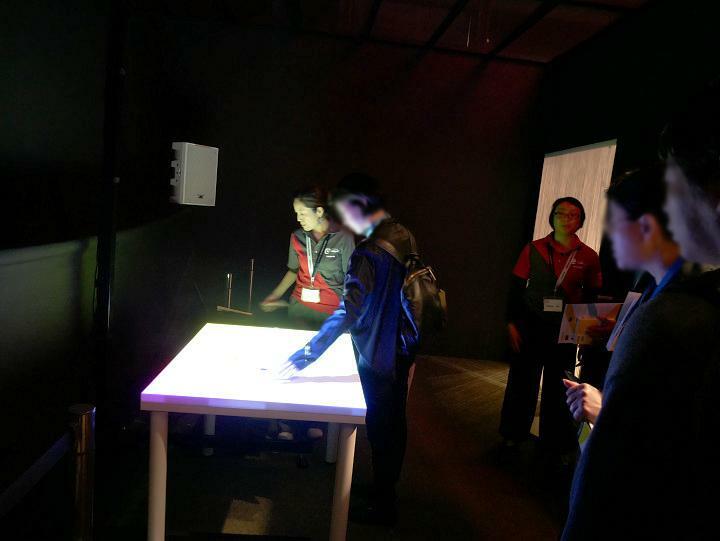 NEXT100 Report: First Ever Comprehensive Exhibition in Japan! 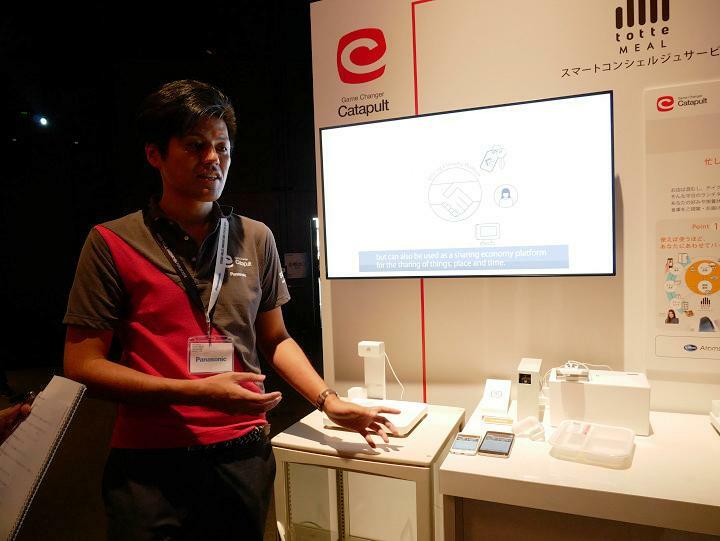 The Game Changer Catapult is launching new businesses centering on consumer electronics. 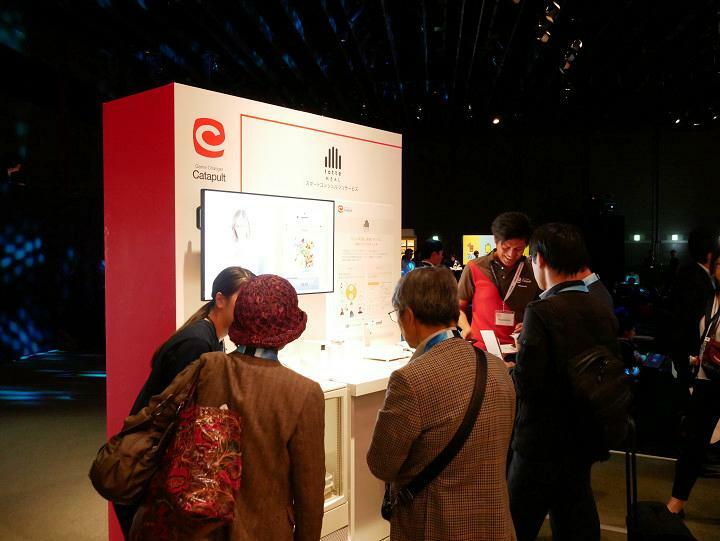 Six projects currently underway within the framework of the Game Changer Catapult were exhibited as part of the NEXT100 exhibit at the Panasonic Cross-Value Innovation Forum 2018 held at the Tokyo International Forum from October 30 to November 2, 2018. This is a report on each of these projects, incorporating comments from the leaders and team members. 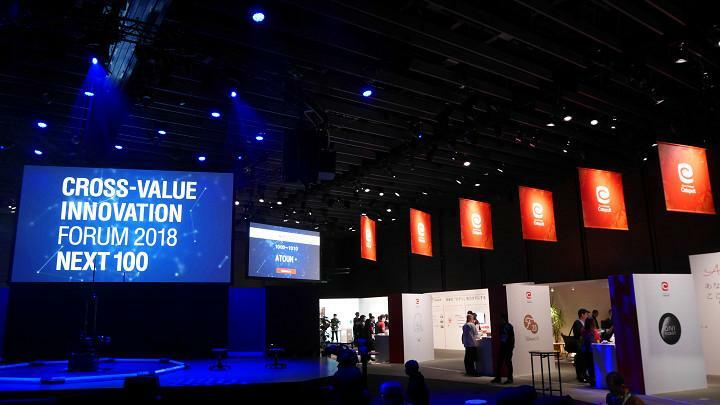 The Cross-Value Innovation Forum 2018 was held by Panasonic to celebrate the 100th anniversary of the company in March 2018. One of the many programs integrated into the forum is the NEXT 100, held over four days from October 30 to November 2. This event is a collection of projects by Panasonic relating to new business creation to build the foundations for the NEXT 100 years. It serves as a place to talk about future business ideas with many different partners, and to create open innovation. The primary aim is to search out new co-creation partners with similar ideas for new businesses in order to drive open innovation forward. Another goal was to obtain partial validation of the ideas exhibited through direct communication with visitors, stimulating work toward eventual business commercialization. It was also an excellent opportunity to provide a progress report to the many people cooperating with the project both inside and outside the company. 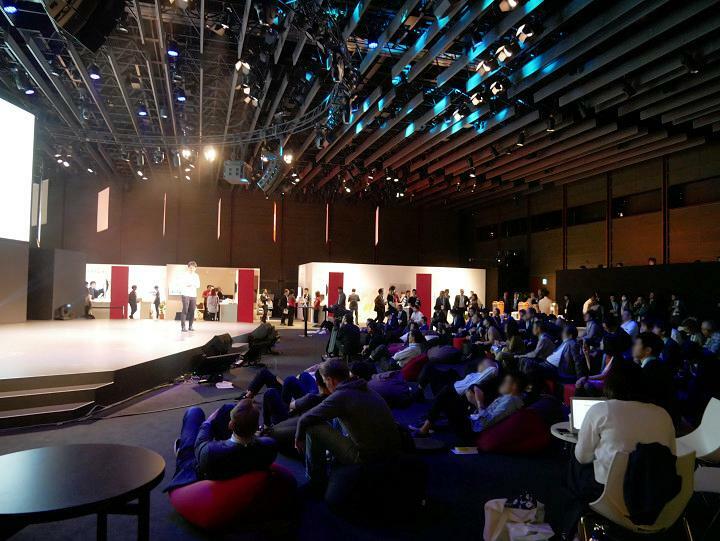 The B7 Hall of the Tokyo International Forum, which served as the venue for the event, had a main stage in the center used for presentations by exhibitors and guests active in the startup industry. The diverse styles they used resulted in high levels of interest evident among the attentive visitors on hand. 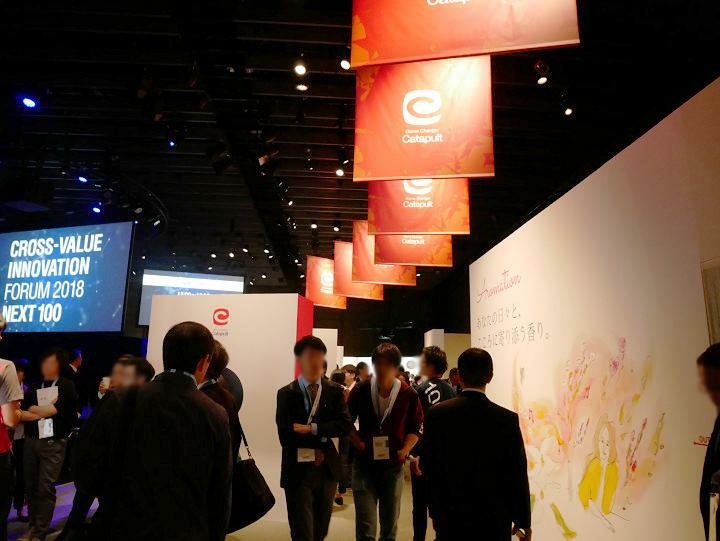 The exhibition space was able to accommodate booths for the six Game Changer Catapult projects, a 100BANCH exhibit, and a cafe corner. Visitors included several young businesspeople and creators, as well as many guests from overseas. Despite the fact it was held on weekdays, a total of 7,800 visitors came calling over the four days. The Game Changer Catapult has exhibited at many different events so far, but the primary example of interaction with ordinary visitors was at South by Southwest (SXSW) in Austin, Texas, USA. In actual fact, this was the first chance in Tokyo, Japan, to engage with ordinary Japanese people*. 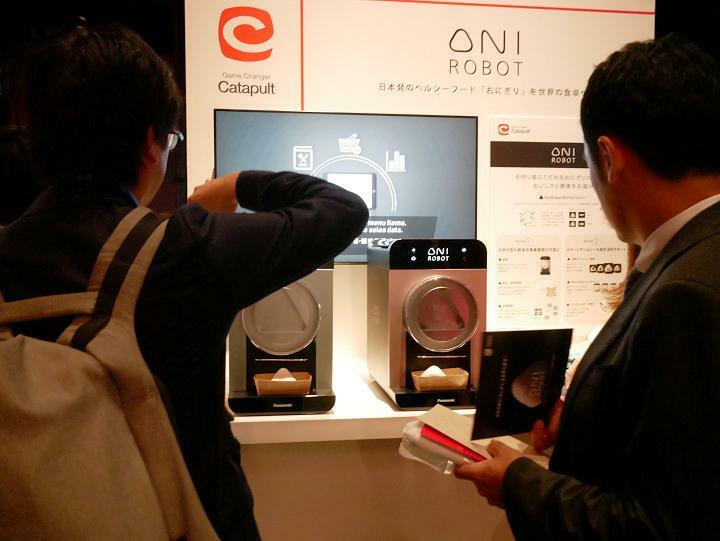 The six Game Changer Catapult projects exhibited were: AMP, Aromation, totteMEAL, OniRobot, Ferment 2.0, and Sylphid. Each booth featured prototypes as well as pamphlets describing the products and services. Visitors actively joined in discussing what they saw and experienced. Project leaders and members also gave pitch sessions on the main stage. Their presentations were fueled by their passion to successfully turn these ideas into businesses. The first booth we visited was for AMP, which is a new interior business concept to improve the value of spaces by showing visual artworks on a square display. 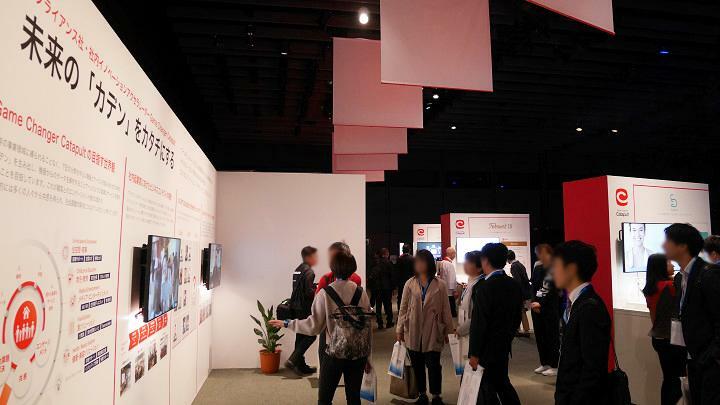 The booth itself was set up to look like a living room so that people entering it could actually experience the visuals, audio, and harmonization of space. At the moment, the project is building ties with artists while increasing the number of partners willing to actually put the product on display. Commercial realization is just a step away. "Since AMP started in 2016, we've worked hard to increase our understanding of the concept. Our aim now is to connect with users who want to actually try AMP out and creators who want to get involved in this project," says the project leader, Asahi Taniguchi. 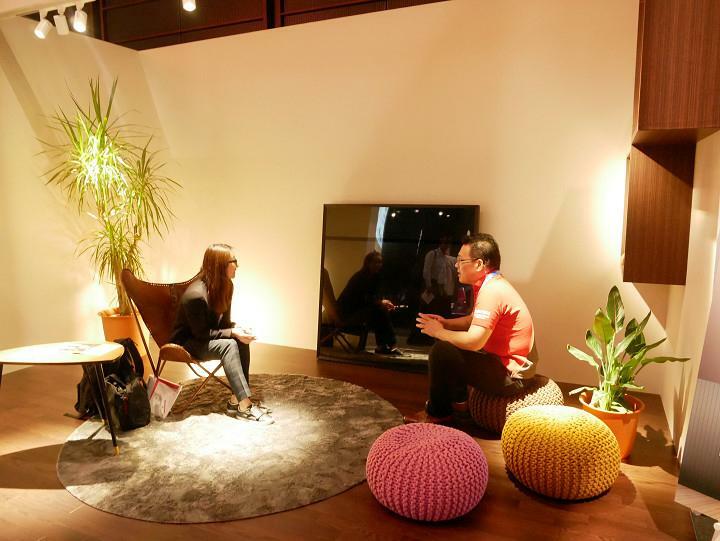 A company specializing in interior designs for hotels is in fact showing interest, while project members take part in lively discussions with people who are fully behind the product concept. The reaction to the NEXT100 was even better than expected. 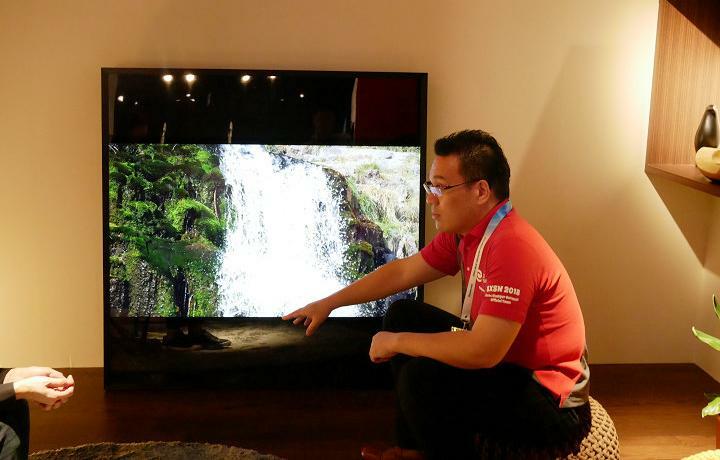 "The interesting thing about this product is the way people either like or dislike it. We got a good reaction in the USA, but we've been surprised to find plenty of people in Japan as well who understand the value of it, which is really encouraging." Nevertheless, a significant amount of time has already passed since the project started, raising the question of whether the pace of its commercialization is keeping up with the market. The aim must be to achieve success as a business as rapidly as possible. The demonstration of Aromation takes place inside a completely dark room. People's emotions change day by day or even hour by hour. By blending aromas perfectly matched with music to complement these moods, Aromation provides new experiences with fragrances. 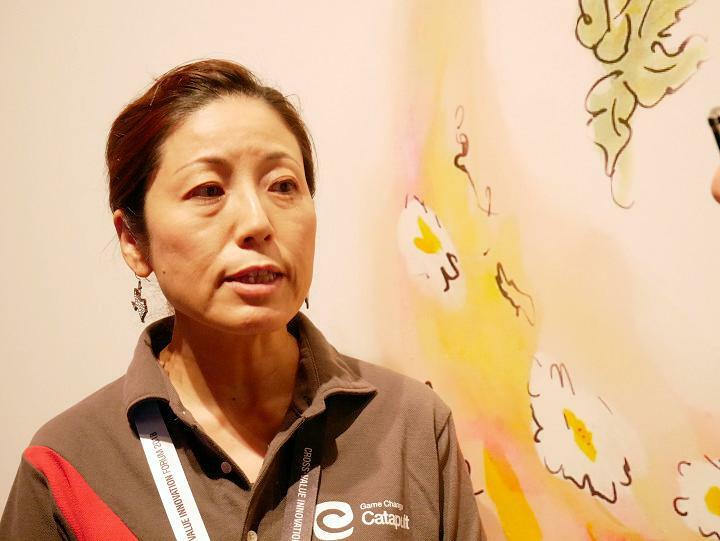 We asked project leader Megumi Yokota about what she hoped to achieve with the NEXT 100. "Exhibiting at SXSW this year gave us an idea of the reaction in the USA, but I still wanted to get direct feedback from Japanese people about Aromation." "An interesting thing I noticed is that a lot of people in the USA chose red (for excitement) as their mood, while in Tokyo, several businesspeople who visited the booth chose yellow (for tension). Maybe this is because of differences in the national character, or the types of environments we're trying out during the events. Whichever the case may be, everyone is happy when they find the aroma that suits their personal feelings at the time. It's made me see for myself that fragrances have a universal value, because they directly act on the brain to give people a sense of pleasure." With regard to the progress of the project, a service model has been completed and it is starting to gather more voices of support. 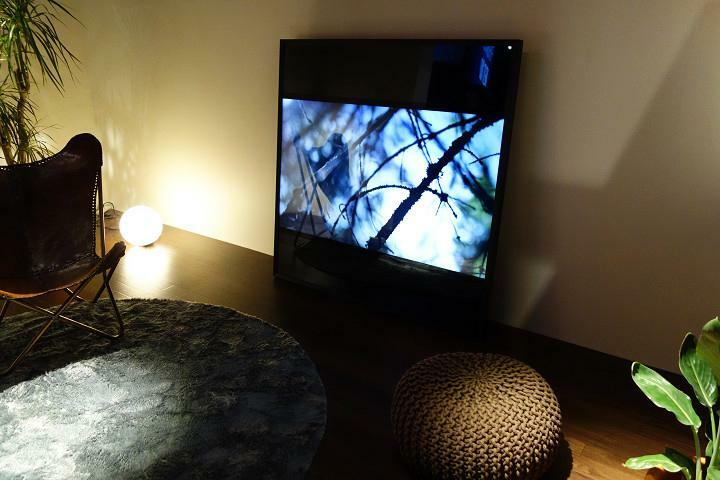 The important point now is to realize a truly Panasonic style combining aromas with music and visuals. "Our sense of smell has a hidden power to bring us instant happiness. I want to bring this culture of enjoying aromas to Japan. In the same way that we listen to lots of different types of music over the course of a day, I'd like to make people see the wonder of a lifestyle where fragrances can be carried around with them in the same way." 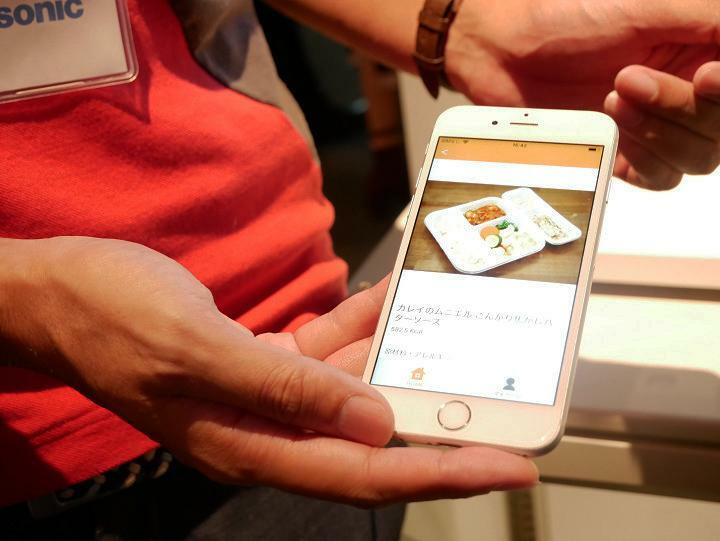 totteMEAL: Heading rapidly toward commercialization to solve the problem of "lunch refugees"
In the totteMEAL booth, project leader Yoshiyuki Inoue explained the system of automated selling of boxed meals. An IoT device installed in a refrigerator offers a wide range of food solutions together with partners providing apps and meals. We asked him what he hopes to achieve by his participation in the NEXT 100. "I want to find a customer willing to use the totteMEAL device. Also, the IoT device isn't necessarily limited to a refrigerator. This expandability is a key point, so I want to find partners with ideas outside the field of food, for example, like installing it next to a conference room to turn it into a coworking space." So far, the project has received promising responses in repeated trial demonstrations, working in cooperation with food companies. At the NEXT 100, the project team received comments from people who want to put the device to work in their office straightaway, and also new ideas from other business fields wishing to adopt such a device. "I believe that we need to gain greater recognition inside the company to garner more support to successfully transform this project into an actual business. I was surprised at the number of executives who said they'd heard about the product thanks to the demonstrations we did inside the company." Clearly, it was a good opportunity to realize once again the level of recognition of totteMEAL. The project is in fact in its final stages of preparations. "The three main points we need to solve are potential users of totteMEAL, places (companies) willing to install the device, and a means of payment. We're very close to finding answers to the first two points." Members of the project team are working steadily with their eyes fixed on rapidly achieving commercialization. Japanese rice balls look set to start a boom in popularity outside Japan. The OniRobot seeks to take advantage of this business opportunity to help globalize rice balls through the robot's ability to recreate a soft, delicious meal, together with a dedicated app. 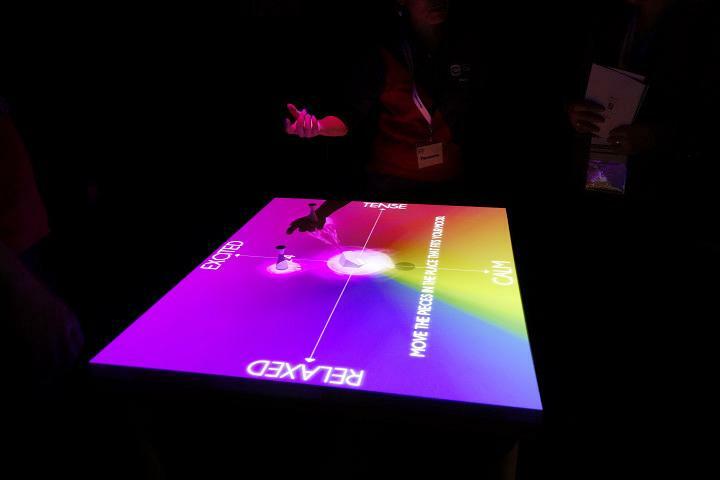 A prototype in the booth was used to explain how it works to visitors. The robot has already mastered the essential techniques to make rice balls like a professional. The project leader, Saori Kako, told us that "Several technical problems remain, but we're currently looking for partners to handle the services while seeking to open up sales channels. Rice balls are becoming more popular outside Japan, but the problem is the lack of people with the necessary skills to make them. We're hoping that the OniRobot will be able to help solve that." 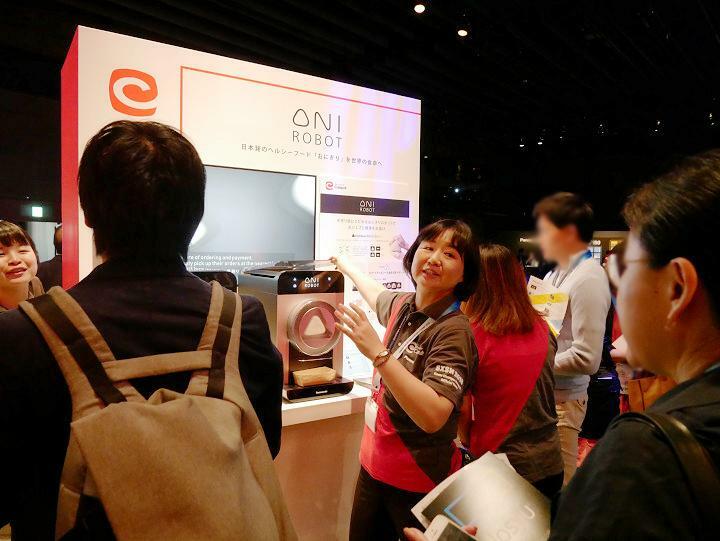 The OniRobot already made a big impact at the SXSW and the Smart Kitchen Summit Japan 2018. As for the NEXT 100, "Several restaurant owners stated their high expectations for this product. I think we'll have a reasonable number of inquiries once we achieve commercialization. Therefore, I believe that the next problem we have to try and overcome is how to manufacture it at a lower cost." Finally, we asked about their determination for the future. 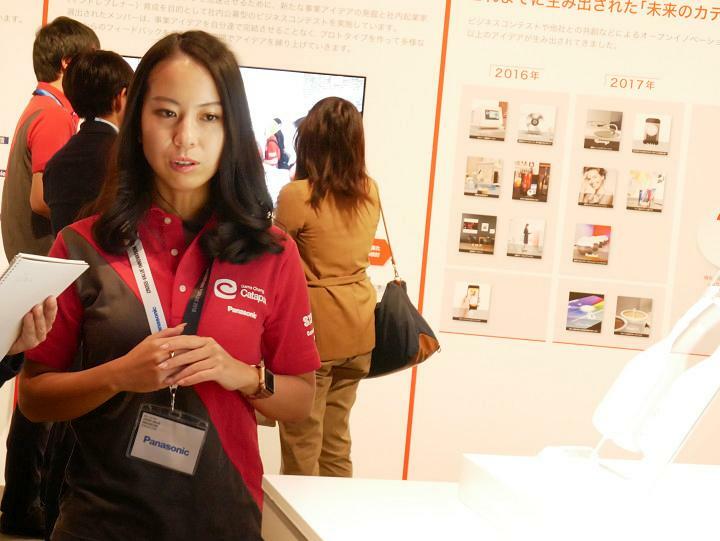 "So far, we haven't been able to put it out as a product without ensuring a perfect finish for Panasonic, but we hope to launch it soon with a combination of the customizability features and the app service. We want to quickly move into markets we've never previously challenged." The project hopes to gain success outside Japan, but of course, it also has its sights on the home market. Ferment 2.0 provides kits and services for people to enjoy making their own miso at home with ease. This business idea is going forward as a joint project by Marukome Co., Ltd. and Panasonic Corporation. 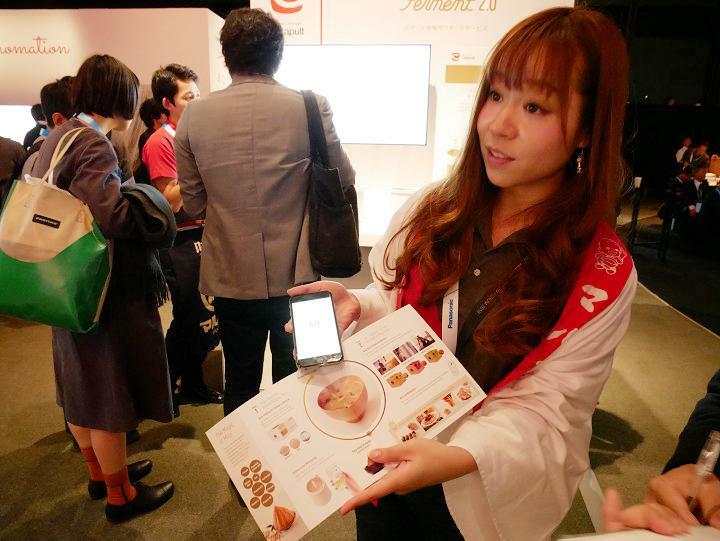 Marukome will make the kit of ingredients to make miso, while Panasonic is developing a stick and app to monitor the maturation of the miso. Currently the project is searching for a partner who conserve the local miso culture, or who is motivated to utilize and remix the multiple miso cultures. "Our objective at the NEXT100 is to find partners, but our ultimate goal is to make a society where miso is a part of people's daily lives," says project member Ayaka Kimura. "If the procedures of making miso are revealed and connected through IoT, restaurants might start using specially selected homemade miso, making unusual flavors that previously only people in a certain area would have enjoyed, available across a wider area. By doing this, we want to connect growers and consumers, and expand this community. We hope to meet people who would make this possible." The roadmap to create a community of people through miso-making was favorably received at SXSW, and the app to visualize miso-making proved highly popular at NEXT100. Several visitors asked us when it's going to be on sale. The miso we see in supermarkets and eat today is only a small percentage of what is actually available. We're quite happy for this opportunity for people to learn more about miso and fermentation. 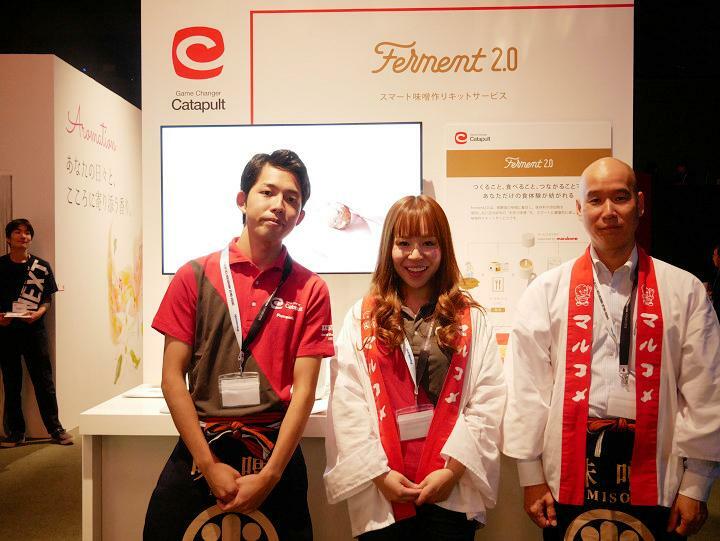 Currently, miso-making is considered to be a part of rural culture and customs; however, the rise of digitalization makes it possible for Ferment 2.0 to establish a rapport with a variety of individuals. Using this advantage, the project hopes to create a community of miso-making people. 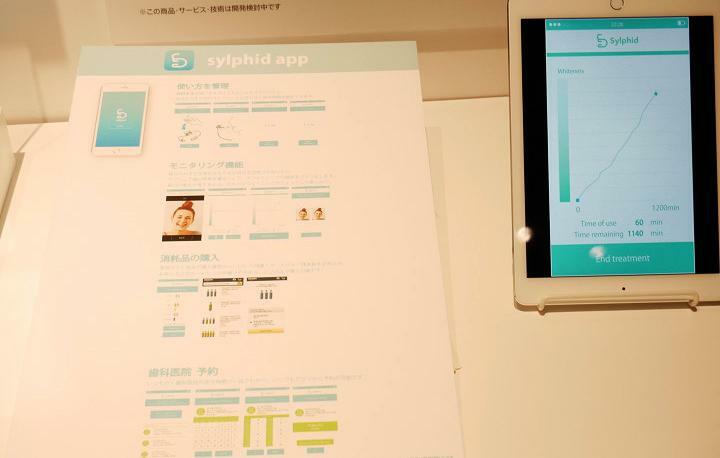 Our last visit was to the Sylphid booth, where the project seeks to solve tooth pain due to hypersensitivity, a problem with teeth whitening. OH radicals, an effective ingredient generated by our proprietary technology from carbon dioxide and water, decompose the pigments of teeth without damaging them. The project is aiming for commercialization in the USA, where over 80% of people undergo whitening treatments. The objective of exhibiting at the NEXT100, as described by project member Yuu Ohtsuki, was to "See the sorts of reactions that Japanese people will have to it. We believe that workers who frequently have to deal with people as part of their jobs will have a higher interest in beauty care, so we'd like to get their views of Sylphid." Several visitors who already have experience with whitening treatments stated that they hope that the product will quickly become available. However, it appeared difficult to get individuals who hadn't tried out whitening to understand the concept. "In Japan, women are generally more interested, but we also got some interest from men who smoke and want to do something about the yellowing of their teeth. Therefore, there is potential to make whitening more common." Currently the team is working on cow's teeth to refine the technology. The next step will be to use teeth extracted from humans, then on to trials with people willing to become monitors. "It takes a lot of time to acquire clinical data, but we're working to keep things going at a fast pace." Nonetheless, a major step has been to learn that the pain associated with whitening is universal to all those who try it. The project team's motivation was further boosted by the voices of anticipation from potential future users. 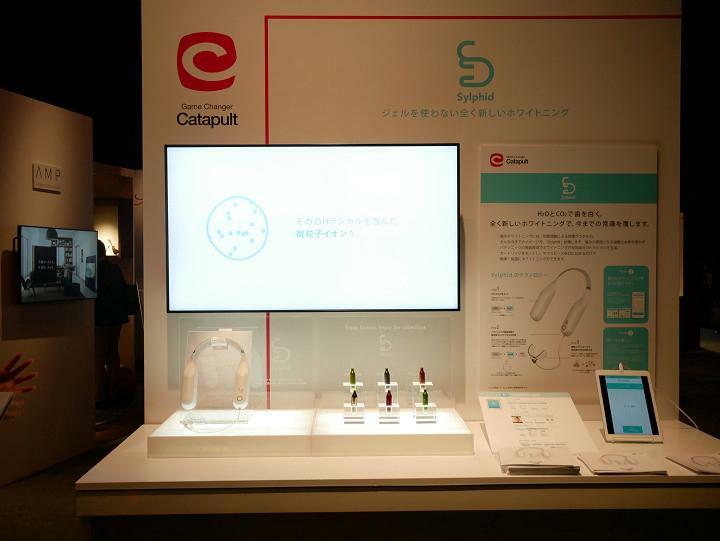 The six projects had successful opportunities to search for partners for future trial demonstrations and to hear the opinions of Japanese consumers directly through the NEXT100. Each project has its own hurdles to overcome, but they will steadily continue down the road toward commercialization. The future has much to bring to us thanks to the wonders of open innovation. 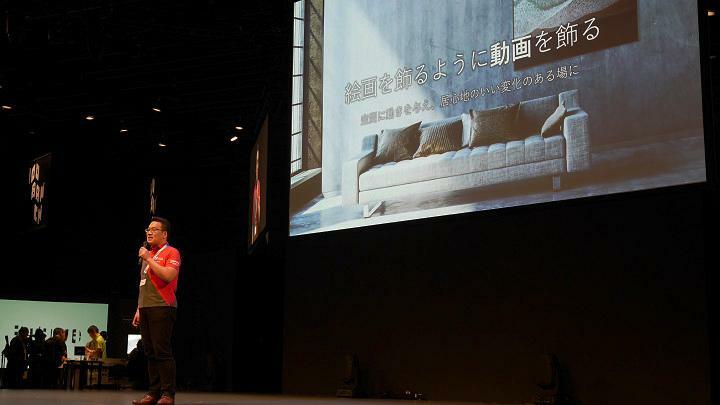 *Some of the business ideas also appeared at the Smart Kitchen Summit Japan 2018 held this summer. Report from that exhibition can be seen here.